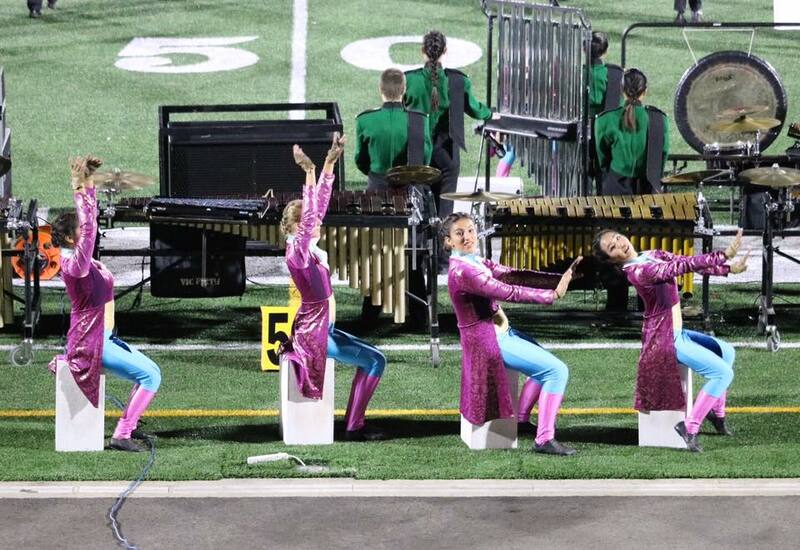 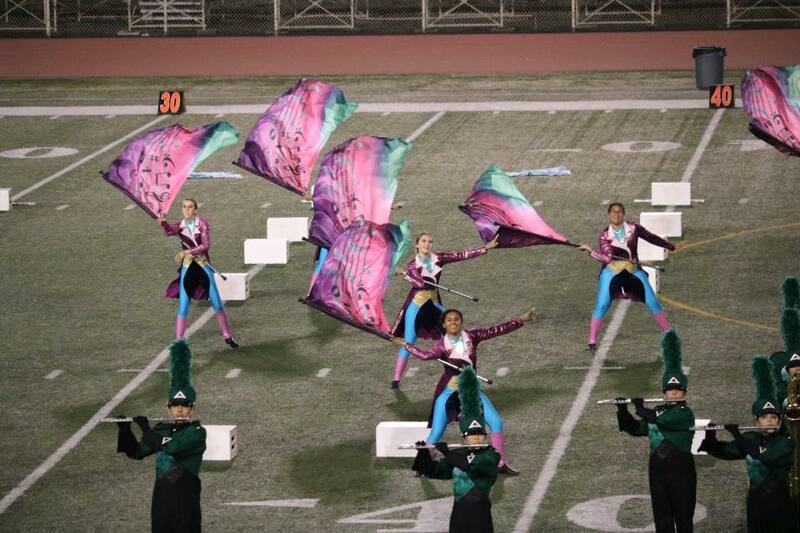 The Color Guard at South Hills High School is a part of the marching band and music program. 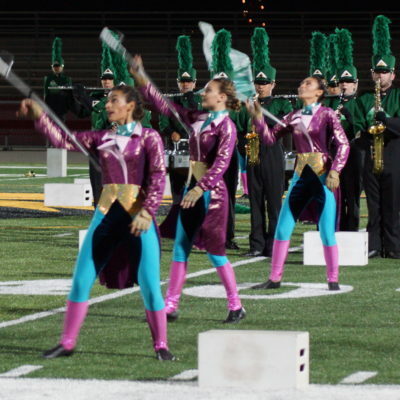 This unit is comprised of marching band members who add visual impact and color to the musical performance in a challenging activity that combines equipment work with dancing and marching. 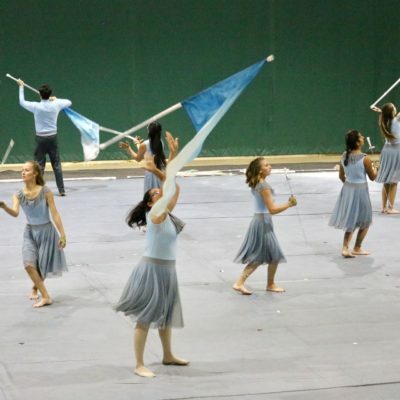 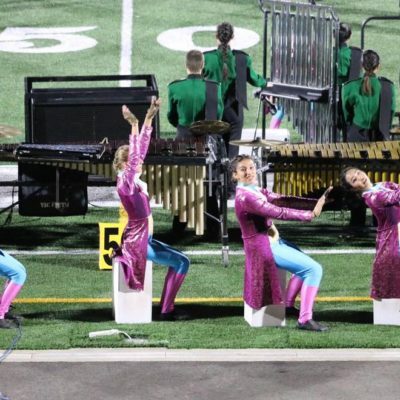 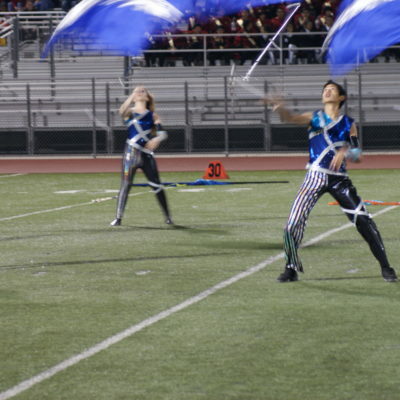 By using flags, sabres, rifles, swing flags, and other pieces of equipment pertaining to the music, as well as a mix of ballet, jazz, modern, and contemporary modern dance, the color guard interprets the music into a stunning visual element. 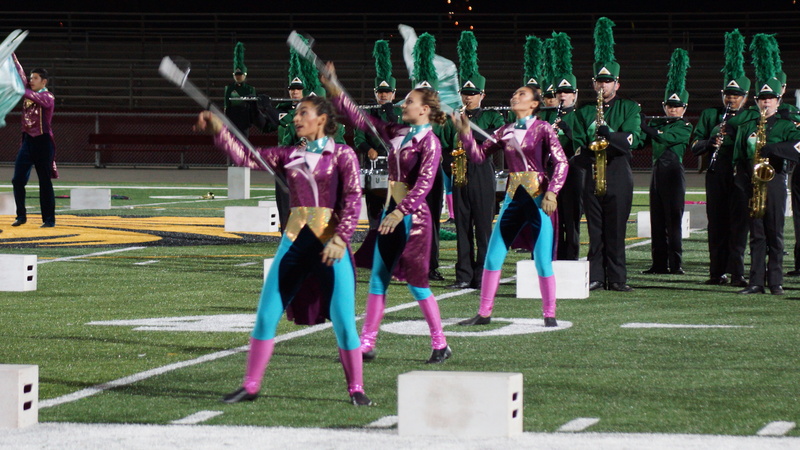 The Color Guard at South Hills High School is a part of the marching band and music program. 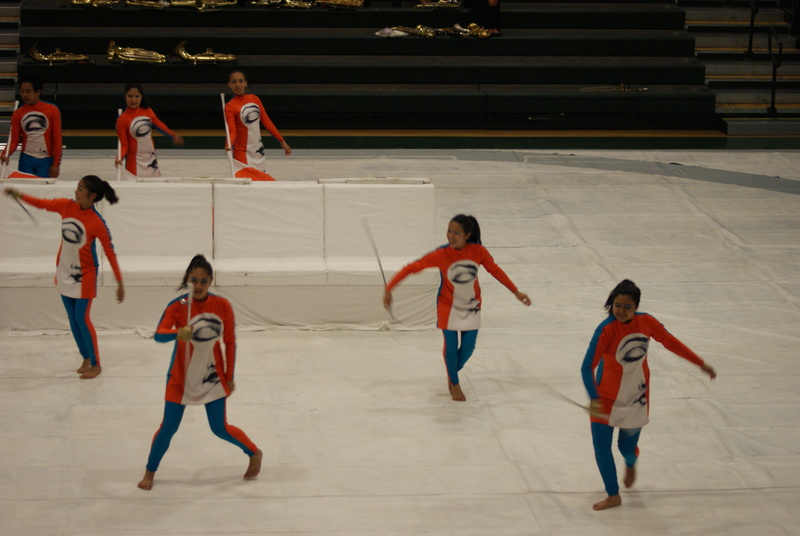 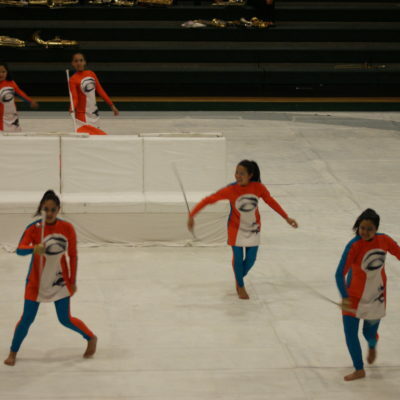 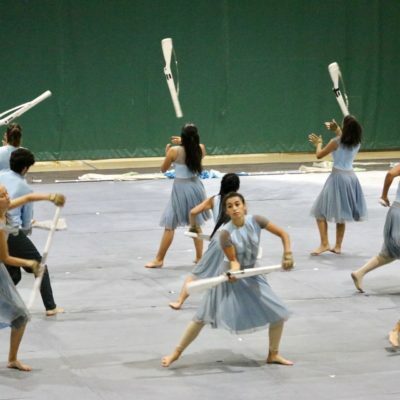 The color guard is composed of hard working, talented, and dedicated students from ninth through twelfth grade. 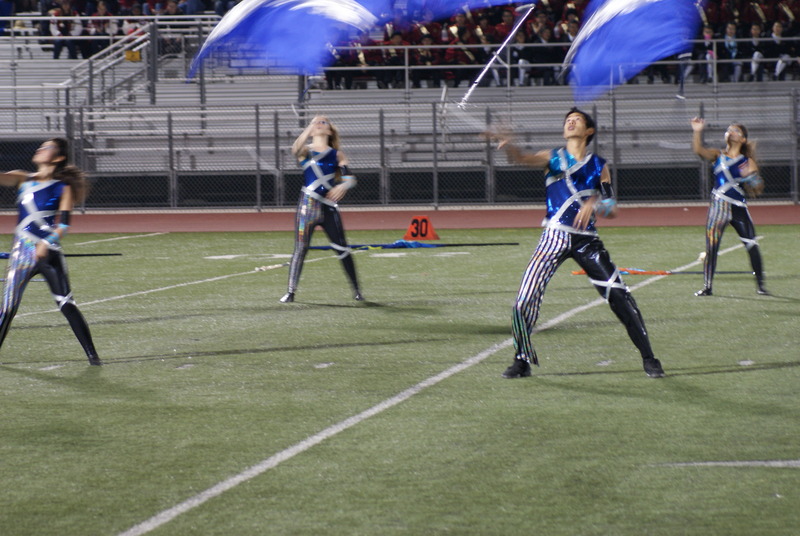 The Color Guard is open to all students at SHHS. 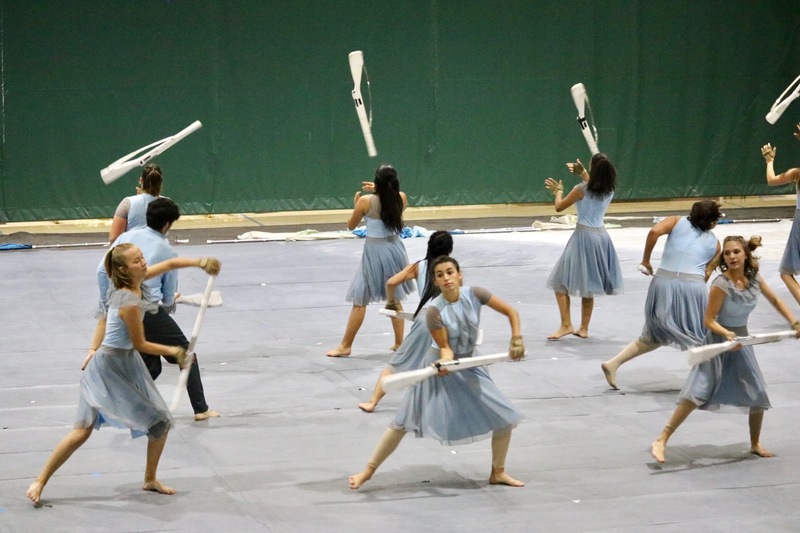 There are no prerequisite to the audition but students must be physically able to perform dance moves and handle various equipment. 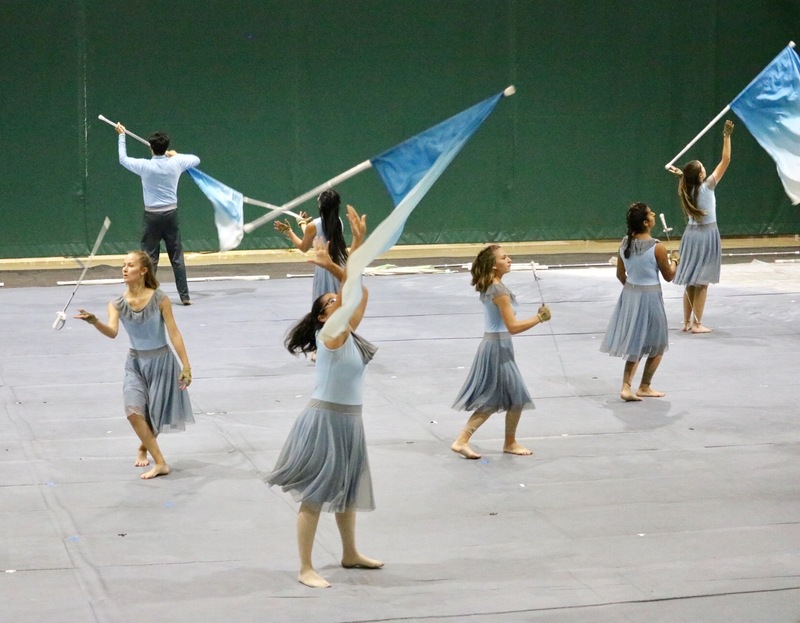 All students will be taught skills needed during the week of auditions.